Spanish version from La Izquierda Diario, June 27, 2015. 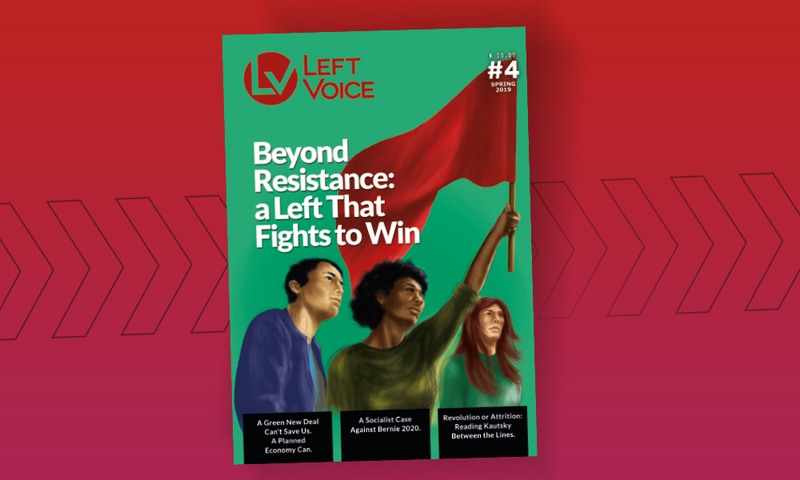 In the latest issue of Prensa Obrera (Workers’ Press), Christian Rath and Alejandro Guerrero further deepen the confusion surrounding the tactic of the United Front, with the confusion now extending into other areas of strategy and program. Such theoretical light-mindedness is, in the final analysis, placed at the service of the divisive orientation of the Partido Obrero (PO – Workers’ Party). 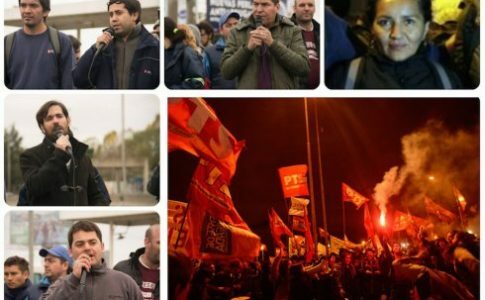 This time it is Christian Rath who is primarily responsible for upholding the confusion on the United Front in a new article in Prensa Obrera (Workers’ Press) No. 1369. Yet he is unable to respond to the principal questions raised in our previous replies (which can be read here and here). First of all, we have pointed out that the PO has refused to have a serious discussion on the program of the Frente de Izquierda y de los Trabajadores (FIT – Left and Workers’ Front) with organizations that have recently shown their support for the FIT. 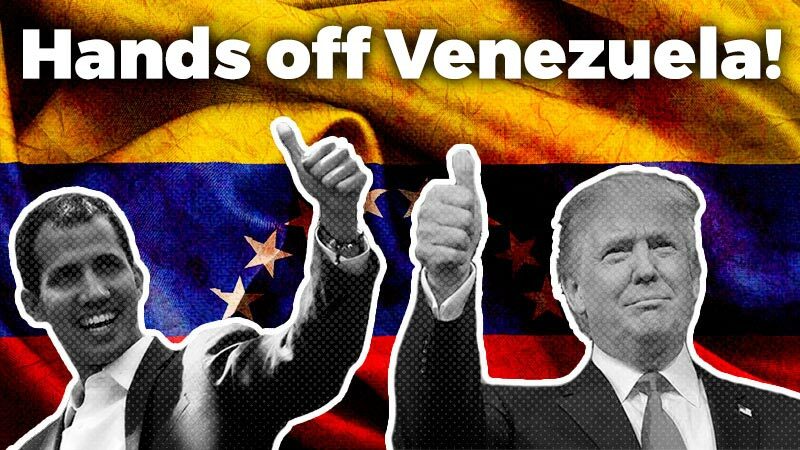 The PO has even gone so far as to systematically uphold the position that these organizations have complete agreement with the program of the FIT, even when these organizations describe themselves as being critically inclined to currents such as those of the Chavista and Evo Morales regimes, Syriza, and Podemos. Our proposal to “start both a common practice and a profound and serious debate around the program of the Front” has been classified as being nothing more or nothing less than “arbitrary”. However, the PO cannot wield any serious argument on the subject and relegates the program of the FIT to that of a secondary matter. Is the PO revising the essence of the FIT program? In the same issue of Prensa Obrera, there is a different article signed by Alejandro Guerrero where he devotes himself to ranting against the PTS and attacking Adriana Meyer, the journalist who supports the FIT and has recently spoken out, along with other intellectuals and teachers, in favour of a united “Altamira-del Caño” presidential ticket. Perhaps here is the answer to the discussion around the program that Rath does not dare to take up. Guerrero says: “in respect to the incorporation of the lists of candidates from organizations that have recently adhered to the Frente de Izquierda, the journalist dares to argue that, according to the PO, these compañeros ‘are not to occupy winnable positions’, as if their inclusion is an act of demagoguery. On the contrary, their inclusion corresponds to a conception of what a revolutionary anti-imperialist front in our country should look like”. If this was the position of the Partido Obrero, the confusion around the United Front that they are sowing would make more sense and their position would be clarified. On the other hand, it would not be the first time that they have made the program of the anti-imperialist united front their own. If this is the case, the PO would then be in opposition to the program of the Frente de Izquierda, a program that has supported until now. The “Anti-Imperialist United Front” (AIUF) was a tactic originally developed in the “Theses on the Eastern Question” of 1922 by the Third International. The Theses attempted to respond to the growth of anti-colonial movements that attempted to resolve the agrarian question and the winning of national independence. In this context, the “Theses on the East” posed the tactic of the AIUF. This consisted of a bloc of all classes who were in opposition to imperialism, including temporary agreements with sections of the national bourgeoisie, while always clearly stating the need for the organizational and political independence of the working class, and especially that of the Communist Parties within the AIUF. It should be noted that, as a tactic for the colonies and semi-colonies, the AIUF was oriented to revolutionary Russia, the first workers’ state in history, which was placed at the head of the mass movements that developed against imperialism at that time. For this reason, the “Theses” pointed out that “The demand for a close alliance with the proletarian Soviet republic is the key-note of the anti-imperialist united front”. That being said, the “Theses” were based, on the one hand, on the question of the inability of the bourgeoisie to see the anti-imperialist struggle through to the end, and on the other, on the weakness in these countries of both the working class and the Communist Parties. However, within this framework, the “Theses” do not clearly define what the “mechanics” of the revolution would be or the relationship between the tasks of national independence and the socialist revolution. The working class was not explicitly designated as the only class capable of carrying the tasks of the national revolution through to the end. At that time (1922) the class struggle had not given its verdict on these problems, as the actual struggle had not yet allowed for the drawing of such strategic lessons. This occurred in 1927-28 with the experience of the Chinese revolution, the insurrections of Shanghai, Canton (Guangzhou), and the defeat caused by the betrayal of the Chinese Communist Party and the Communist International controlled by Stalin. On this debate, we strongly recommend the article by Juan Dal Masso, “The Anti-Imperialist Struggle, Marxist Tradition, and the Theory of the Permanent Revolution”. What we want to point out here is that on the basis of the lessons from China, Trotsky generalized the theory and program of the Permanent Revolution, which he had previously developed and tested during the Russian revolution. On the basis of the counter-revolutionary role of the Chinese “nationalist” bourgeoisie, Trotsky put forward the conclusion that in countries with a belated bourgeois development, and the colonies and semi-colonies in particular, the full and effective resolution of these countries democratic tasks and national emancipation can only come about under the leadership of the working class at the head of an alliance with the peasantry and other oppressed sectors. This in turn, placed Trotsky in clear opposition to the politics of Stalinism in China. The Chinese Nationalist Party (Kuomintang) used the support of the Stalinists order to defeat the revolution, with the Stalinists justifying this by arguing that the revolution was only at a first stage where the working class was not yet called on to lead it. Trotsky did not rest there, for even in his exile in Mexico, he closely followed the development of bourgeois nationalism in Latin America and the phenomenon of Mexican President Cárdenas in particular. These writings can be found in a compilation produced by the Centro de Estudios, Investigaciones y Publicaciones (CEIP “León Trotsky”). The question posed by Trotsky in “The Permanent Revolution” was more than confirmed in innumerable processes during the Twentieth Century. In our region, we can point such examples as Bolivia in 1952, Chile in 1973, or Uruguay in 1973 where, in accordance with Trotsky, the non-existence of a revolutionary party and working-class hegemony as leader of the nation resulted in the defeat of these revolutionary processes. If the ideas put forward by Alejandro Guerrero and published in Prensa Obrera represent the position of the PO, a minimum of seriousness would suggest that what is needed is a discussion in order to settle accounts with the program of the FIT, which says the opposite of what Guerrero has put forward. Returning to Rath’s article, let us now attempt to give some sort of coherence to the debate by unraveling the PO’s theoretical confusion. We will not tire of repeating this: what does a front for working class independence such as the FIT, have to do with a Popular Front and with the Communist Party and the Social Democracy that Trotsky considered the ‘political expropriators of the proletariat’? Nothing, but the PO insists on this unbelievable comparison. Rath asks, “what does mean PTS mean to say?”. We want to say nothing more or less than what Trotsky himself said in the 1930s, for example, to the SAP (Socialist Workers Party of Germany) with regards to the policy of a common electoral list of the SP-CP “United Front”. Trotsky said: “The idea of nominating a candidate for president on the part of the united workers’ front is at its root a false one. A candidate can be nominated only on the grounds of a definite program. The party has no right to sacrifice during elections the mobilization of its supporters and the census of its strength. The party candidacy, in opposition to all other candidates, can in no instance conflict with anyagreement made with other organizations for immediate aims of struggle” (What Next?, 1932). As can be seen, Trotsky clearly distinguishes between the electoral front (definite program) and the United Front (agreements for immediate aims of struggle). Taking local examples into account, this logic of distinguishing between an electoral front and a United Front is the same as that upheld by the PTS. 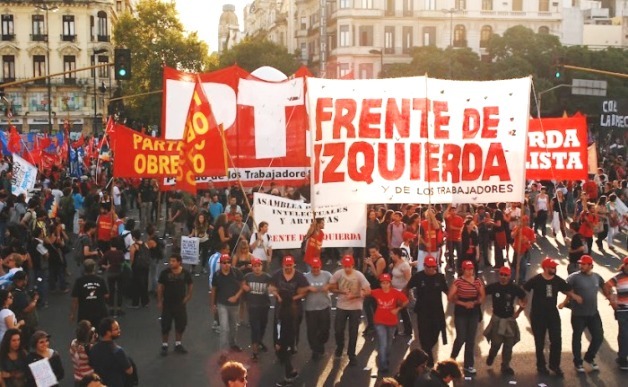 On the one hand, we helped to launch the Encuentro Sindical Combativo de Atlanta (Meeting of Militant Unionists, held at the Atlanta Stadium in the Villa Crespo district of Buenos Aires), without any of the sectarianism of the PO. This Encuentro, called for a common intervention in the class struggle (and which for a time effectively fulfilled such a role), was sponsored by the current of “Perro” Santillán. On the other hand, we are opposed to the proposal to incorporate Santillán’s current into the Frente de Izquierda. This is because, as we have already pointed out, what is required here is common practice and a profound and serious debate around the program of the FIT, for Santillán has a clearly different, pro-Evo Morales orientation. As we have seen, Trotsky fought in Germany during the 1930s for the arming of the Communist Party with the policy of the United Front, a policy which the CP categorically refused. At the same time, he also warned against the mistake of proposing a common presidential candidate with the reformists. Why? Because of the fact that “election agreements [. . .] serve, as a rule, to the advantage of the Social Democracy”, while the United Front tactic best serves revolutionaries because it is based on “practical agreements for mass action, for purposes of struggle”. That is, revolutionaries have everything to gain in the framework of a common experience of struggle where they can convince sections of the masses in (and with) action against the capitalists and their state. The alternative to this is self-proclamation as “the leadership”, a danger that is far from foreign to the PO, something that any reader who follows the left in Argentina knows well. In short, what Trotsky was saying when he defended the United Front with the Social Democracy but refused an electoral front with them, is the exact opposite of Altamira when he says that “the defense of the United Front is the great demarcation of strategy and principles”. For Trotsky the United Front is not a strategy but a tactic, something that he made very clear numerous times in the face of those who claimed otherwise, all the while defending the United Front tactic against all kinds of “left-wing” childishness and bureaucratic self-proclamation. As we have pointed out, these objections were put forward by Trotsky when he struggled in the 1930’s against Stalinist opposition to the United Front for the fight against fascism in Germany. However, the PO does not even focus their discussion on Germany. They focus instead on France in 1934-36, where Stalinism had made a 180-degree turn from opposition to any form of United Front to an uncritical unity with not only reformists but a section of the imperialist bourgeoisie. Here we arrive at Rath’s third omission. 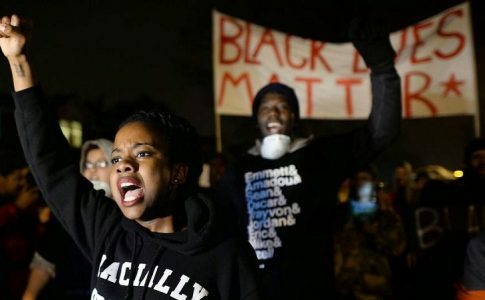 It is perhaps not by accident that his response does not refer to the methods, to the tasks that Trotsky posed in the 1930’s for the “Committees of Action” in France. Let us summarize them. Solano, in his previous article, said: “Trotsky called for the development of Committees of Action of the United Front for the election campaign (Whither France?). This is what socialist politics on the electoral field consist of”. That is, “Committees of Action” would be a kind of electoral committee campaigning in favour of the United Front between the Communist Party and the Social Democracy. In this way, in saying that Trotsky “called for the conversion of an electoral front into a United Front”, he tries to move away from the uncomfortable position that Solano has left the PO in, and in part confirms that we are correct when we said that “the question consists of changing the field of intervention of the United Front from elections to the class struggle”. However, Trotsky did not speak like Rath does of a “practical front” in general, but instead outlines very precise tasks. But the PO takes care to not say one word about the tasks and the methods that Trotsky says the “Committees Of Action” should adopt, because they have nothing in common with what Solano and Rath attribute to them. Namely: “the creation of workers’ militia, the arming of the workers [and] the preparation of a general strike” (“For Committees Of Action, Not the People’s Front” from Whither France?, 1936). That is to say, the “Committees of Action” were not for Trotsky electoral committees to campaign for a “Blum (SP)-Cachin (CP)” government as suggested by the PO. They were “apparatus of struggle”, they were for workers’ power in the face of the advance of fascism, and they were for the ‘expropriation’ of the ‘political expropriators of the workers’ – what Trotsky called the CP and the Social Democracy. No, the PTS does not ignore it. Those who seem to ignore (or want to ignore) the tactic of the “workers’ government” are the PO. This question has been previously discussed with Rath when the PO called for a vote for Syriza in 2012. Therefore the tasks of a “workers’ government” were “incidentally” very similar to those that Trotsky posed for the Committees of Action. The Third International considered that the “most elementary” program of a workers’ government “must be to arm the proletariat [and] disarm the bourgeois counter-revolutionary organisations”. It is now obvious why Rath omitted this part of the quotation. Rath omits the things that Trotsky put forward about the United Front and the “Committees of Action” that do not fit and do not allow for the development of further confusion, but the intent is the same. It is an attempt to substantiate an electoralist and evolutionary view, and somehow call it something that the PO hopes will develop into the “workers’ government”. 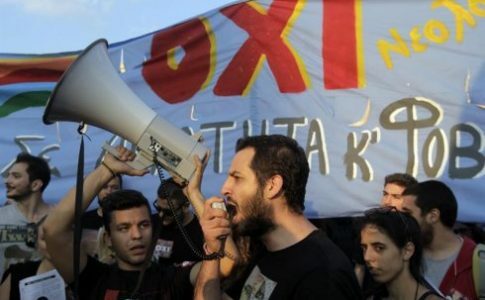 This is an opportunist and above all unrealistic view, as Syriza has demonstrated. According to the PO, Syriza could call for a “government of the left” as a bridge to a “workers’ government”. As we can see, reality has shown otherwise. Syriza has formed a government with ANEL (Independent Greeks – a nationalist right-wing party) and is now kneeling down before the Troika. This same view, where the weight of the strategy of the class struggle is diluted, is the same one that they are now trying to transfer to their conception of the United Front. The end of the article, the Partido Obrero laughably implies that the concept of “Committees of Action” that Trotsky raised in the 1930s had their equivalent at the PO’s rally at the Luna Park Stadium in Buenos Aires at the end of last year. “Just like the Partido Obrero put forward”, Rath says, “when it convened a Congreso del Movimiento Obrero y la Izquierda (CMOI – Congress of the Workers’ Movement and the Left) – a practical front that the PTS sabotaged by opposing to it the election candidacy of Del Caño!” (the presidential pre-candidacy of Nicolas Del Caño was announced just days before the CMOI launched the pre-candidacy of PO leader Jorge Altamira). In this way they have reached the heights of self-proclamation, with all their confusion around the question of the United Front now slipping into the background. The Partido Obrero believes that any united front that does not recognize in advance the leadership of the PO and Jorge Altamira will almost always be directed against the historical interests of the working class. This seems to be one of the keys to understanding the course that the Partido Obrero has followed recently, as shown in its refusal of the successive unity proposals made by the PTS (which can be readhere, here and here). But not only that. The PO did not even consider it necessary to answer the non-party intellectual and teacher supporters of the FIT who supported the proposal for a united “Altamira- Del Caño” presidential ticket, while in their newspaper they attacked one of the well known journalists that signed the proposal. If this is not yet a sufficient demonstration, you only need to look at the composition of the lists that they have presented. These lists are named “unity”, which is itself a kind of oxymoron, as they arise from the rejection of a united list with the PTS. But not only that, their Izquierda Socialista (IS – Socialist Left) partners have not been given the lead candidate position for any important lists, apart from that of Córdoba, where there is already a unity agreement, and one of the national positions (Vice-President). It is worth recalling that in our unity proposal we offered them one of the three national lead candidate positions and that of the Parlasur (the elected assembly of the Mercosur trading bloc). The conclusion is that for the Partido Obrero, the United Front is a “United Front” of the PO with the PO. This absolute light mindedness in theoretical discussion not only concerns the question of the United Front. As can be noted in their newspaper, even for those who do not want to, the PO are actually defending the “anti-imperialist united front”, a position in opposition to the program of the FIT. And all this is done as a justification for their divisiveness. What this demonstrates is the Partido Obrero’s concern for the encirclement that they currently finds themselves in, precisely at a time when there is an enormous challenge of convincing larger sections of the masses ahead of us. Let’s renew and strengthen the FIT with the strength of the workers, women and youth! The electoral strategy of the PO, to which is added Izquierda Socialista, consists in focusing its attacks on the main PTS candidates. 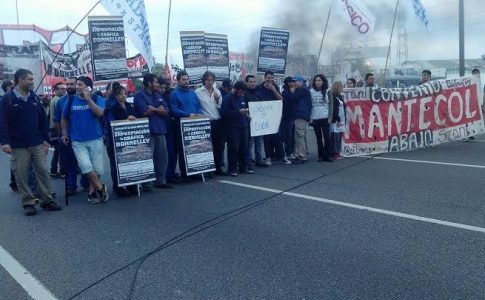 Their divisiveness is displayed at every turn, such as when just three days before the elections for Governor, Altamira travelled to Mendoza to hold a “closing ceremony” (with 100 people) without inviting the PTS, the principal party of the FIT in the province, or Noelia Barbeito, the main FIT candidate who won over 10% of the vote for the Mendoza Governor’s position. Similarly, the PO and IS held a divisive rally in Cordoba before the provincial elections without inviting either Hernán Puddu, the candidate for Vice Governor and Liliana Olivero’s running mate, or Laura Vilches, the current FIT legislator in Cordoba, because they were “from the PTS”. Even more serious is the refusal of the PO to establish the FIT in the province of Salta (a traditional PO stronghold), which will lead to an electoral clash that will occur outside of the internal election process. This clash will favor the bosses’ parties and undermine the fight against the proscriptive 1.5% level, something that was inscribed on the banner of the FIT since its inception. This divisive position coming from the PO, whose main preoccupation is the maintenance of their own party apparatus in isolation from the mass movement, not only goes against the PTS, but against the Frente de Izquierda as a whole. In the meantime “Perro” Santillán who (according to the PO) has sworn his allegiance to “socialist principles”, has led a group of members of his current in a physical assault against a contingent of PTS members in Jujuy. The ridiculous “argument” Santillán uses to justify this assault is that the PTS could not take part in the rally to mark the anniversary of the murder of Maxi and Dario (Maxi Kosteki and Dario Santillán, two “piqueteros” shot and killed at a demonstration by Buenos Aires police officers in 2002) because . . . the PTS had already participated in the June 3 “Ni Una Menos” rally in opposition to violence against women, which in Jujuy saw over ten thousand women demonstrate. It is necessary to go beyond divisiveness and the old “small circle existence”. We should instead be following the example set in Mendoza, where an historic election result with over 110,000 votes has been achieved. We have to renew and strengthen the FIT with the strength of the workers, women and youth, which is the only way that we can truly give strength to the program of the Frente de Izquierda. This is just what the lists of the PTS in the FIT headed by Nicolás del Caño and Myriam Bregman are demonstrating and will clearly demonstrate in these elections.